A PhD student graduating today from the University of Newcastle has her sights set on supporting women with breast cancer in China, which accounts for more than ten per cent of cases worldwide. With her background in nursing and years of research, Jiemin Zhu has developed a first-of-its-kind mobile application to provide women with breast cancer free access to support services. Ms Zhu said she was inspired to help after witnessing the devastating side effects of chemotherapy on some of her friends. “Breast cancer is the most common cancer for Chinese women, but an increase in diagnosis and shortage of oncology specialists pose challenges for women to access adequate support from health care professionals,” Ms Zhu said. The Breast Cancer e-Support program has four components – a learning forum, a discussion forum, an ask-the-expert forum and a personal story forum. “The learning forum provides knowledge and symptom management strategies, while the discussion forum is an online platform for women to chat with one another,” Ms Zhu said. Ms Zhu has been working with Breast Cancer Units in participating Chinese hospitals to inform staff and patients about the app. “We’ve had some great feedback so far. Participants perceive the Breast Cancer e-Support program to be helpful in enhancing knowledge, improving confidence and promoting emotional well-being,” she said. 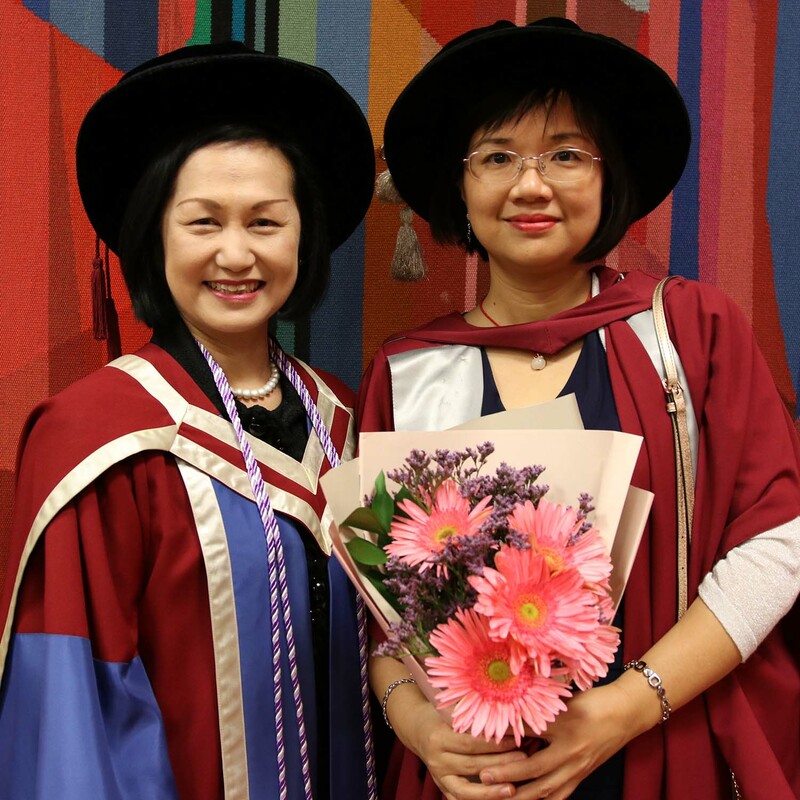 After completing a Bachelor of Nursing in China and a Master of Nursing in Canada, Ms Zhu decided to undertake her PhD at the University of Newcastle because of her supervisor, Professor Sally Chan. “I admired her high quality research and passion for nursing, so I followed Professor Chan to the University of Newcastle” Ms Zhu said. Now residing in Xiamen city, Fujian province, Ms Zhu hopes to continue her career as a researcher and educator with the ambitious aim of helping more people. Ms Zhu will graduate in a ceremony at 2pm on Thursday 27 September.